We require all of our students to study the material on the AHA student website. Click here to learn how to download your new AHA e-Card. 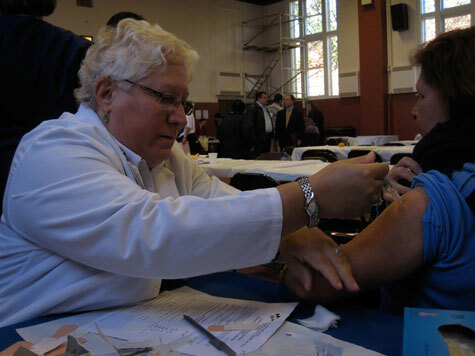 Michele giving a flu shot at St. Mary’s Church, in Long Beach, on Long Island, NY. Before launching the Precourse Self-Assessment, please make sure your computer is connected to a working printer. You must print your results from the Precourse Self-Assessment upon completion and from the same computer that was used to take the assessment. Attempting to save your results and print them at a later time or from a different computer will lead to the loss of your results. You must complete the entire Precourse Self-Assessment at one time. You will not be able to save your progress and return to the assessment at a later time. Leaving the Precourse Self-Assessment before you complete it, and printing your results, will lead to the loss of your results. You must staple the two pages together and bring your results to class to be collected. 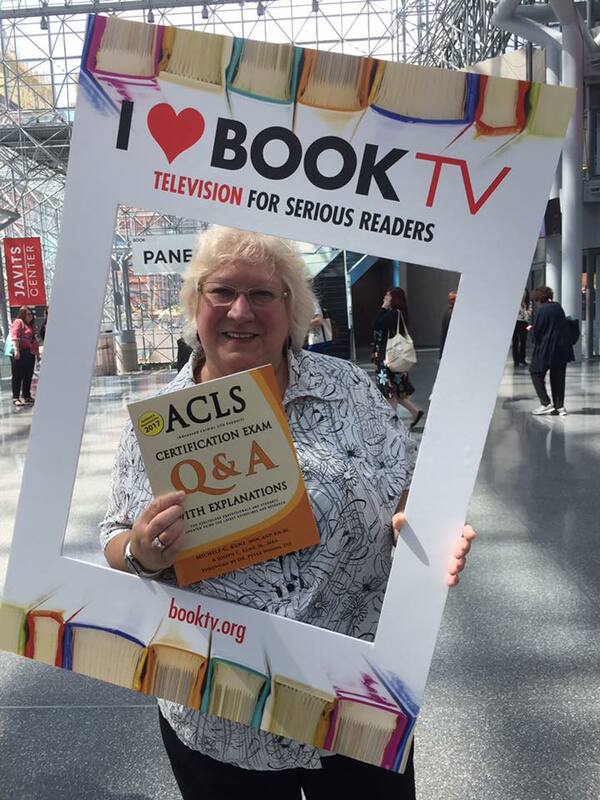 Michele at Book Expo at the Javitz Center in NYC to share her new ACLS book with the public. The AHA Student Website includes PDF (portable document format) and Flash content. If your computer is not already configured to view PDF files and Flash content, you may download the Mac or PC version of Adobe Reader and Adobe Flash Player for free. If you have Adobe Reader and Flash Player already installed on your computer, and are still having issues, please make sure that you have the latest versions. Most problems can be fixed by updating both programs. The AHA Student Website support-page provides you with answers to frequently asked questions to help you troubleshoot most problems you may experience with the student website. You can email or call Michele if you have any questions about the website, or the study material, or the class. Thank you very much Michele! I always look forward to your classes. You truly have a gift. Making people laugh and enjoy learning at the same time is a beautiful thing.